Welcome our new free flyer for your dance show! 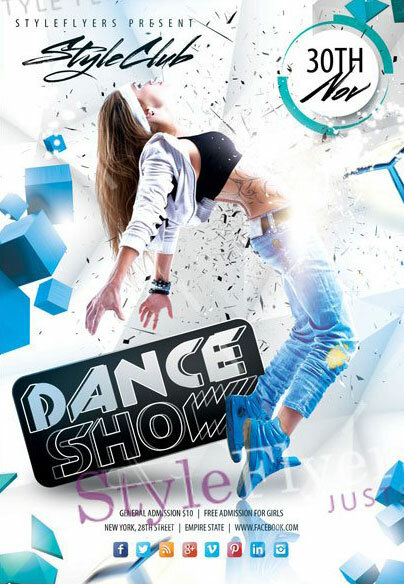 We offer you to download our free Dance show PSD flyer template, add the model to it and then start promoting your event. We opt to main color white and blue, but you can change the color grade of this flyer if you want to. Stylish design with minimal amount of embellishment, it’s your opportunity to focus guest attention on the main idea of your event and show your true taste. But if you want, you can add new objects and embellish this flyer.